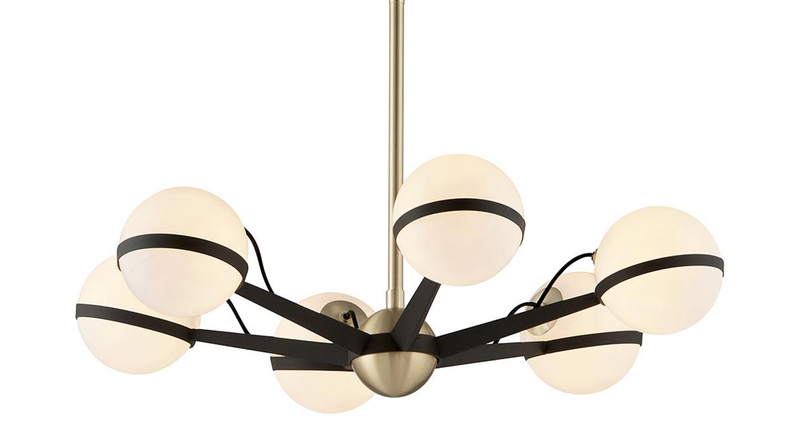 Sticking to its design mantra of “casual sophistication,” Troy Lighting’s latest is a vintage-meets-modern style with a striking silhouette. Using simple shapes and timeless materials, the Ace Collection by Troy Lighting bridges classic elements with contemporary style. We caught up with Troy Lighting President Steve Nadell to learn more about the design. Tell us about the Ace collection. We wanted to create a vintage modern design that has a “vintage” feel, without being a reproduction. Our proportions and design sensibility is based on achieving a collection for today’s lifestyle. Where do you envision this design? The Ace collection works well in many rooms throughout the home or commercial project. We designed the collection to be stem-mounted at a variety of mounting heights. When using the 6-inch stem, the Ace easily converts to a large semi-flush chandelier, perfect for achieving “high-style” for low ceiling applications. When used with a longer hanging stem, the Ace is perfect for dining rooms as well as entryways. How do Troy designs bridge different styles? Troy’s design mantra is “casual sophistication.” We easily cross boundaries from traditional, transitional and modern design. Our goal is to remain casual, artistic, at times whimsical, and to create product that puts a smile on the face of the person that selected our products. We believe that a successful interior design mixes elements from all genres, and most important is comfortable and well illuminated. The Troy line overall is unique, creative and seems to draw inspiration from many different areas. Is there anywhere in particular that inspiration comes from? We look for inspiration from every aspect of life. We can find “eureka” moments in anything from a piece of vintage jewelry, street art in lower Manhattan, rebar scrap metal, modern art, to antique lighting. Inspiration is everywhere! 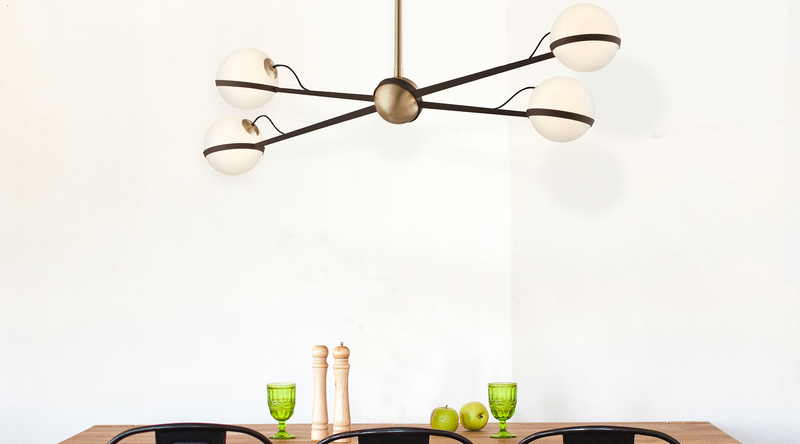 The Ace Collection comprises three styles: A linear suspension, wall sconce and chandelier, shown here. Do you have a particular style/aesthetic yourself? How does that play into this (or any) collections? Tough question! We like design that is familiar, while being unexpected and comfortable. I think homes and projects should not be theme oriented, but rather a collage of furnishings and objects that are warm and inviting. Every time we develop a new collection, we discuss the application, relevance, proportion and functionality. In our opinion, we want the design to make a statement without taking over the space; it must have a point of view, be true to the inspiration, but maintain originality. Of course, functionality (proper illumination) and high-quality construction are paramount to a Troy Lighting product.